MOSCOW (UrduPoint News / Sputnik - 16th April, 2019) US citizens seeking to submit their biometric data through the US Department of Homeland Security (DHS) to apply for work, study or settlement in the United Kingdom have been denied the service for more than two weeks due to the UK government missing a payment to the US agency, The Guardian said on Tuesday, citing a source. To apply for a UK visa, an applicant must have their photo and fingerprints, also known as biometric information, taken at the DHS, which are then forwarded to the corresponding UK immigration agency. 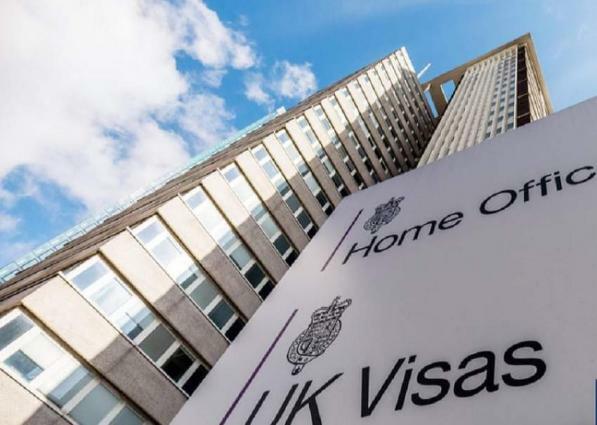 According to the news outlet, the United Kingdom's payment to the DHS did not go through in time and the US Citizenship and Immigration Services cut off the biometric enrollment service for UK visa applicants in late March. The UK Home Office has described the problem as a technical issue, but gave no further information, the news outlet said. The UK agency also advised US applicants to apply through VFS Global, a private company specializing in visa issuance-related matters that charges nearly $2,000 to fast-track document processing. Neither the US Citizenship and Immigration Services nor the DHS responded to the news outlet's request for comment. The United States and the United Kingdom share a Visa Waiver Program, which enables its citizens to travel between the two countries for business or tourism without a visa for 90 days. However, people planning to travel for longer lengths of time or planning on studying, residing or working in the other country must apply for a visa.